I’m a racing purist, clinging to sport as the road to salvation. Yet even I am susceptible to a good story from the back of the pack. Last weekend at the Asics L.A. Marathon an old friend from the shoe wars days of the 1970s and `80s ran the L.A. Marathon as the first leg of a four marathons in nine weeks effort to raise funds and awareness for a family back east who lost both its parents during the devastation of Hurricane Sandy. Larry Rosenblatt, 49, is now a project manager for telecommunication software company Synchronoss Technologies in Bridgewater, New Jersey. But his roots in running go back a long way. In 1979 at age 16 he was out in Eugene, Oregon during the golden years of running’s innocent coming of age. He ran his first marathon in 1979 at age 16, then knocked off his PR, 2:59, three years later in New York City. But from 1979 to 1983 he was a young promo man for Brooks Shoes during the height of the first running boom. During those years Larry and I shared many a friend, colleague and race experience. 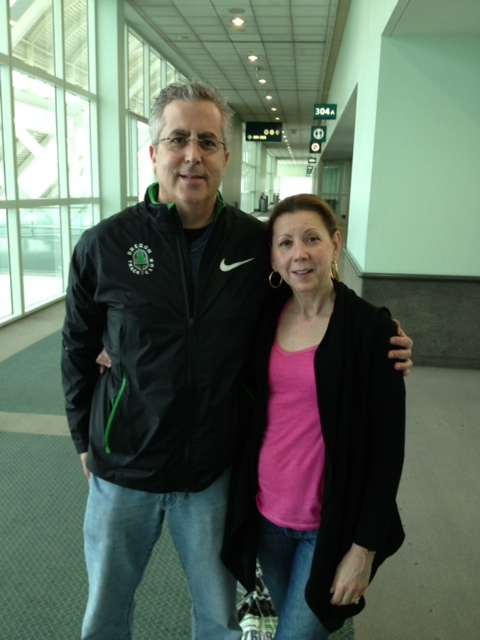 So when I saw him at the LA Marathon expo with his bride of 24 years, Julie, I wondered what brought him out to the left coast. While many tens of thousands were deeply jolted by the fury of Sandy, few, if any were as profoundly effected as the Everett family of Randolph. As the storm hit, Richard and Beth Everett were driving home with their two boys Theo, 14, and Pierce, 11. 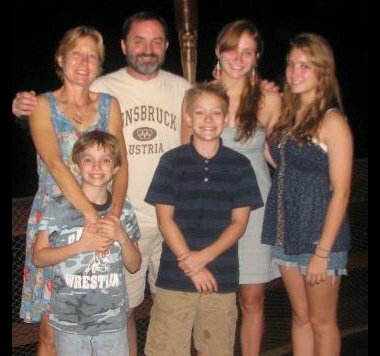 A tree fell on their truck killing both parents, but sparing the boys in back. Daughters Zoe, 19, and Talia, 17, weren’t with them, but Zoe, a sophomore at Rutgers University, was left as the head of household to her three younger siblings. This isn’t the first time Larry has brought attention to a cause through his running. Two years ago he ran four marathons in six weeks to raise $7,500 in honor of his wife, who battled through leukemia in 2007. This time the goal is to raise $10,000, and Synchronoss will match the first $5000 of that amount. 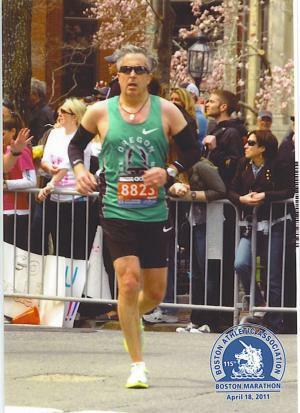 Larry is hoping to team up with 1983 Boston Marathon champion Greg Meyer for the April 15th Boston Marathon. Greg will be celebrating the 30th anniversary of his biggest career win. Back in his heyday Greg ran with Brooks sponsorship, and Larry Rosenblatt was an integral member of the support team along with guys like Mike Greehan and Will Albers. Don’t get me wrong, I still think racing is the road to salvation. But guys like Larry have shown me how to broaden my perspective. Thanks, old friend. And good luck the rest of the journey. Hey, and darn near famous, again. Consider making a donation by visiting the Everett Family Fund here. absolutely as if your internet site nevertheless, you really need to examine the transliteration about quite a few of your blogposts. A few of these are filled along with transliteration challenges and that i to locate the idea incredibly irritating in truth then again I most certainly will unquestionably go back all over again.